Pantone has released their much awaited Colour of the Year for 2019 with the brightly hued Living Coral. Pantone has called this vibrant hue energizing and enlivening with a soft edge. Living Coral (PANTONE 16-1546) offers warmth and cosiness and when paired with the other hues, it will truly be something spectacular. 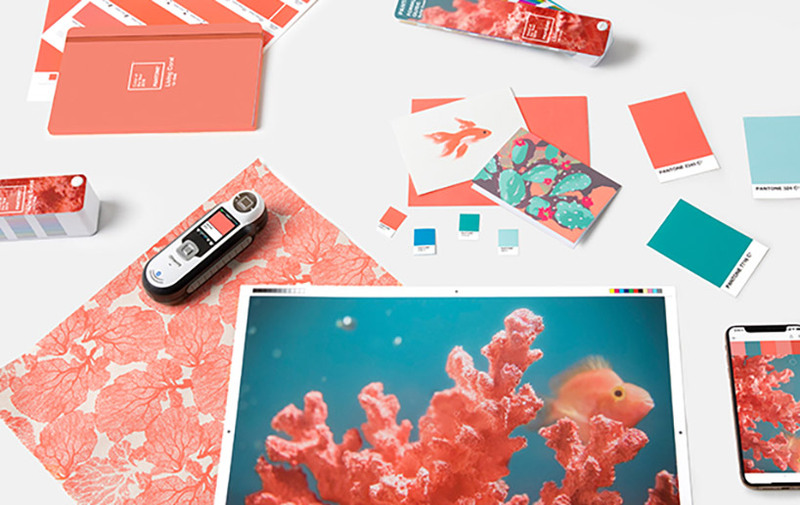 Pantone has also offered some colour guides and pairings so that you can find décor inspirations for your various design needs when using Living Coral. Be inspired by the colour harmonies Pantone has recommended such as with Sulphur Spring, Chive Blossom, Vivacious, Barrier Reef, Deep Lake, Ibiza Blue, and Pink Lemonade. How will you design your projects with Living Coral? Here are some décor inspirations to help you decide. 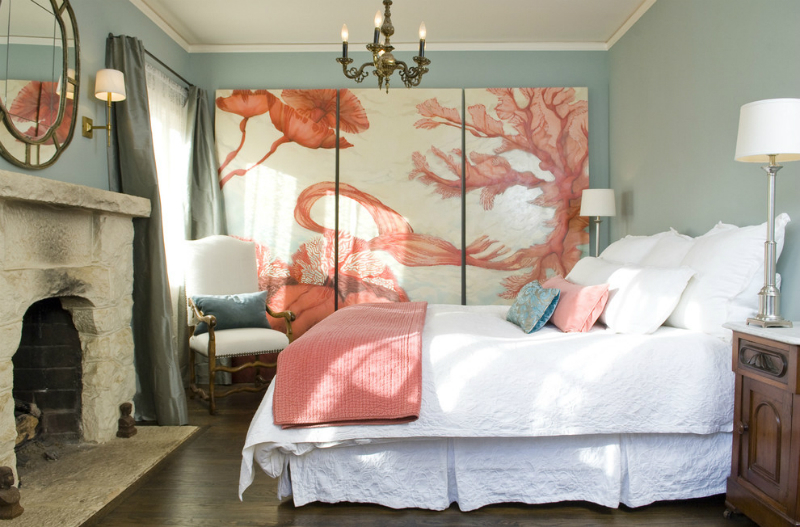 We’ve started with our compilation of bedroom décor inspirations using living coral as the stepping stone. Vibrant and colourful with white as the cooling factor, this bedroom is ideal for someone who doesn’t shy away from pizzazz. An ideal choice for a beach chic and rustic style, this bedroom inspiration add a pop of vibrancy with Living Coral accents. Understated by still quite evident, paint your bed frames with Living Coral for a great pop! 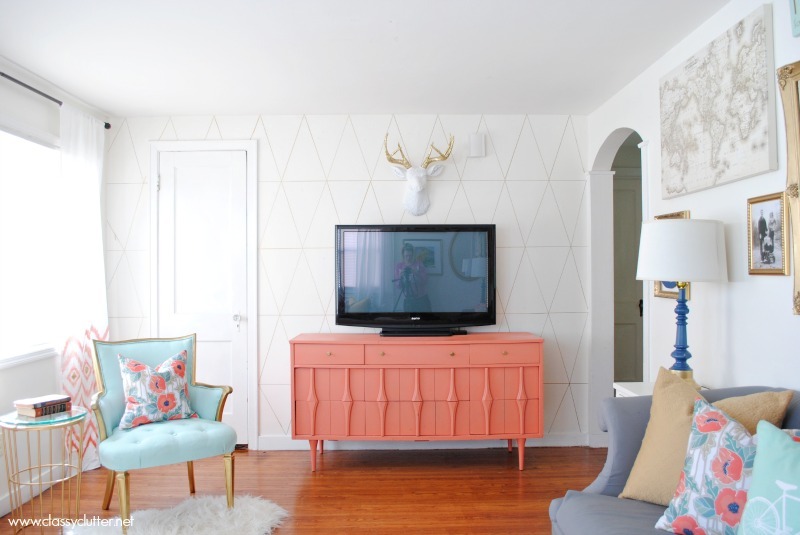 How about these living room decor inspirations for your lookbook?